Through our scholarship programs, we encourage our youth to participate in the National History Day project. 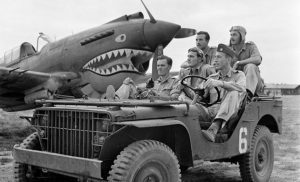 Scholarship recipient Alexander Rupp created a website dedicated to the history of the Flying Tigers and their involvement in the China-Burma-India campaign of WWII. You can visit Alexander’s website HERE. 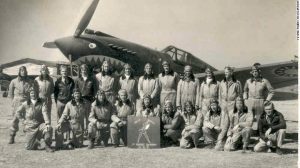 Scholarship recipients Christopher Pelligrini, Alexander Yu and Kelvin Yang (all Chinese students) created a National History Day contest website that documents other aspects of the Flying Tigers involvement in CBI. Join us in honoring the 250,000 men and women who served our country in CBI during WWII. Watch the trailer for this documentary, currently in production. We’d love to hear your comments. After watching the trailer, please CLICK HERE to leave your comments on our Blog page. Your support and donations are welcome and greatly appreciated. DONATE HERE. Our organization is now collaborating with CJ Machado of Purple Foxes to honor and tell the stories of how our WWII veterans made a difference and continue to make a difference in our world. 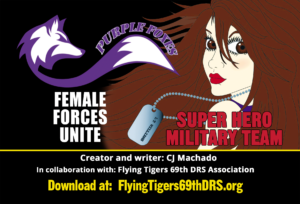 Click on the link at the right to purchase and download each volume of this exciting multi-generational super-hero military adventure series. William “Grizzly Bill” Misina, age 93, peacefully passed away September 19, 2018, at his home. His family was with him. Bill was born July 2, 1925 to John and Maria Misina in Chicago IL. Survivors include Marilyn, his wife of 62 years, daughters Diane (Mike) Neperud of Hubertus WI, Donna Misina (Larry Fraser) of New Brighton MN, son John (Diane) Misina of St Germain, grandsons Bryan (Megan) Neperud of Fox Point WI, Scott Neperud of Ogden Utah, Jack Misina and Joe Misina of St Germain, and great grandson Zachary Neperud. Bill was a veteran of WWII, serving in the Army Air Corp and later as a realtor in the Northwoods for many years. He is best known as “Grizzly Bill” from the years when he and Marilyn owned Grizzly Bill’s Bait and Tackle shop in Lac du Flambeau. A private Celebration of Life will be held at a later date. In lieu of flowers, donations may be made to the Salvation Army or a charity of choice.